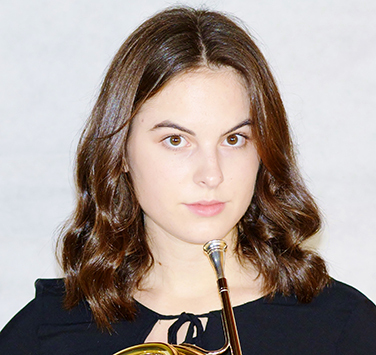 Jessica MacIsaac is a composer and horn player from Wolfville, Nova Scotia. She is currently completing a Bachelor of Music at Dalhousie University, studying composition under Jérôme Blais. She has also studied horn with Symphony Nova Scotia’s first and second horns, Mary Lee and David Parker. Her music has been played by ensembles such as Symphony Nova Scotia, the Quasar Quartet, the Friction Quartet, Quartetto Indaco, and Ensemble Made in Canada. When she’s not doing music, Jessica enjoys writing, biking, and doing walking tours for tourists visiting Halifax.